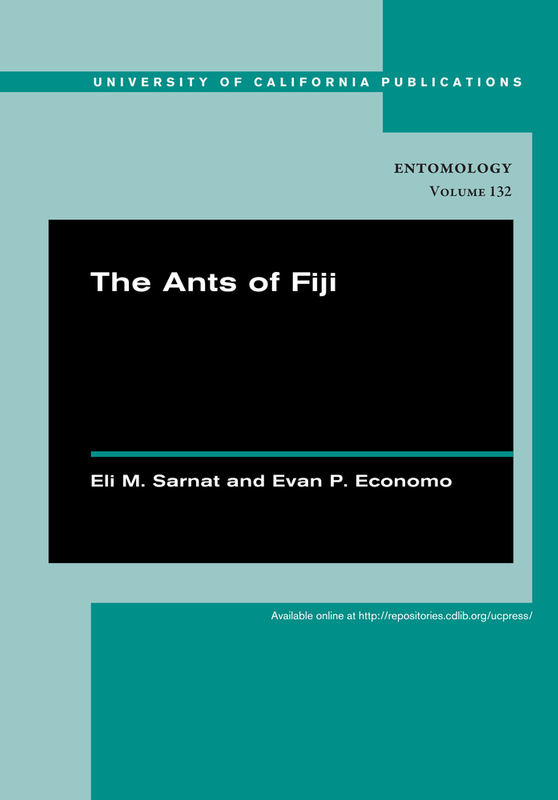 The ant fauna of the Fijian archipelago is a diverse assemblage of endemic radiations, pan-Pacific species, and exotics introduced from around the world. The Ants of Fiji describes the entire Fijian ant fauna, and includes the results of a recently completed archipelago-wide biodiversity inventory. A total of 187 ant species representing 43 genera are recognized here with an illustrated key to genera, synopses of each species, keys to species of all genera, and a species list. The work is heavily illustrated with specimen images, distribution maps, and habitat elevation charts. Eli M. Sarnat is an independent research entomologist and owner of Antwork Consulting in Northern California. Evan Economo is an Assistant Professor at the Okinawa Institute of Science and Technology. His research seeks to understand biodiversity patterns and processes using ants as a model system.